398 in stock Need More ? 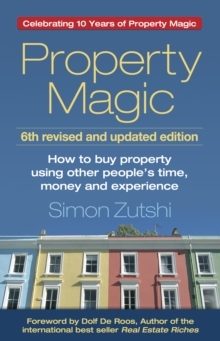 In the 10th Anniversary edition of this No.1 Best Selling property book, experienced property investor Simon Zutshi will share with you some of the secrets behind his Property Mastermind Programme, so that you can learn how to build a property portfolio and replace your income, using other people's time, money and experience. The book is designed to open your mind and stimulate your thinking to make you aware of some of the current possibilities available to you in the world of property investing. It is packed full of inspirational case studies to help build your personal belief of what you could achieve, in a relatively short amount of time, by investing in property. Although this book is focused on investing in the UK property market, the concept of finding and helping motivated sellers to reach an ethical win/win solution, works in every property market all over the world. You can build your personal wealth whilst helping other people solve their property problems.